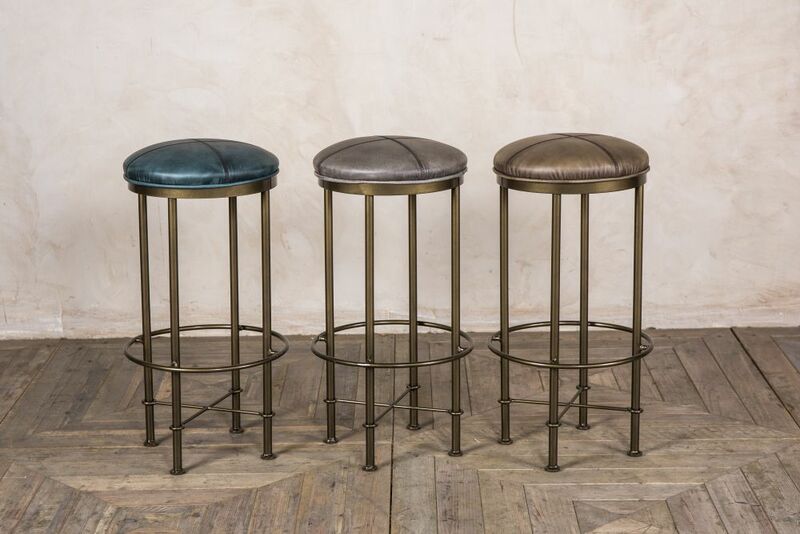 Introducing our ‘York’ upholstered bar stools; these stunning bar stools are new to our collection of bar and restaurant furniture. 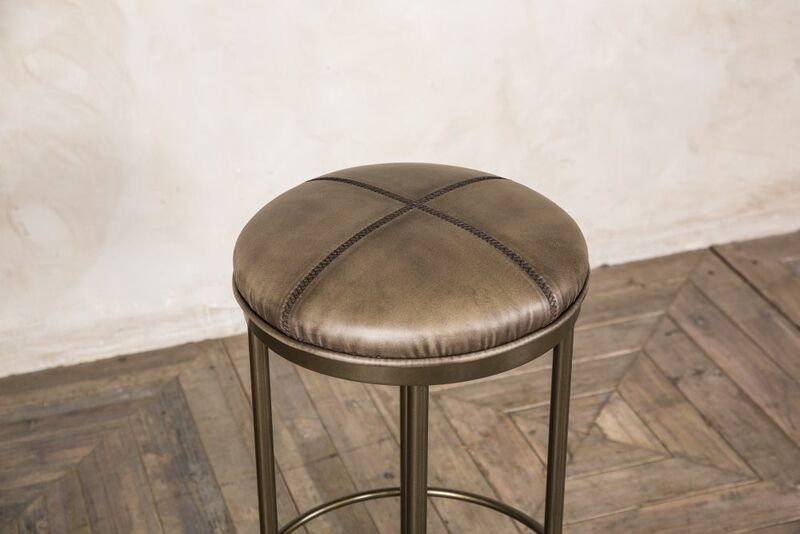 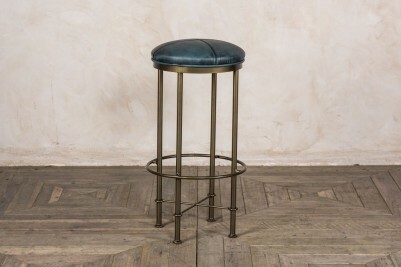 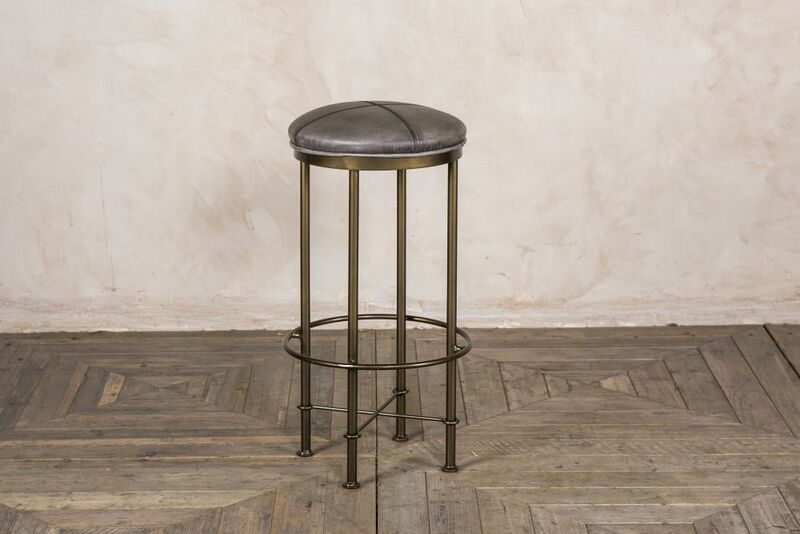 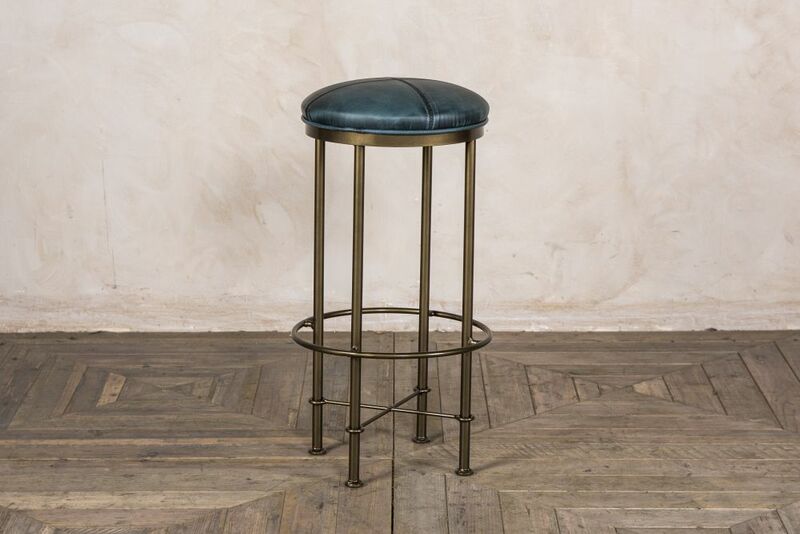 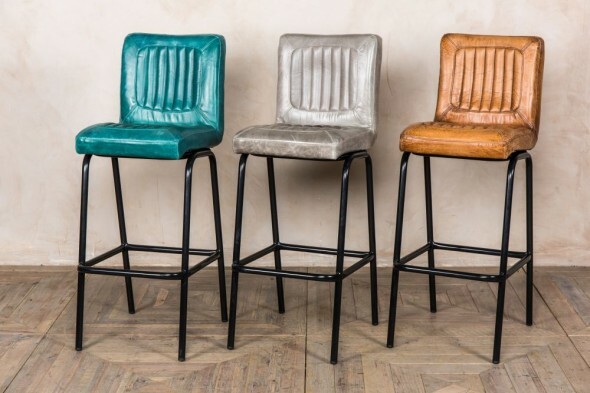 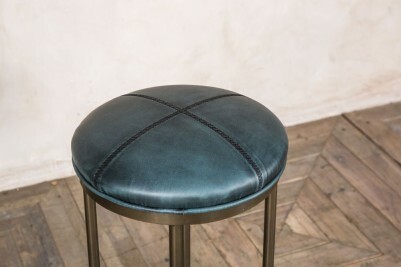 These bar stools have a faux leather seat pad which is available in blue green, mushroom, and slate. 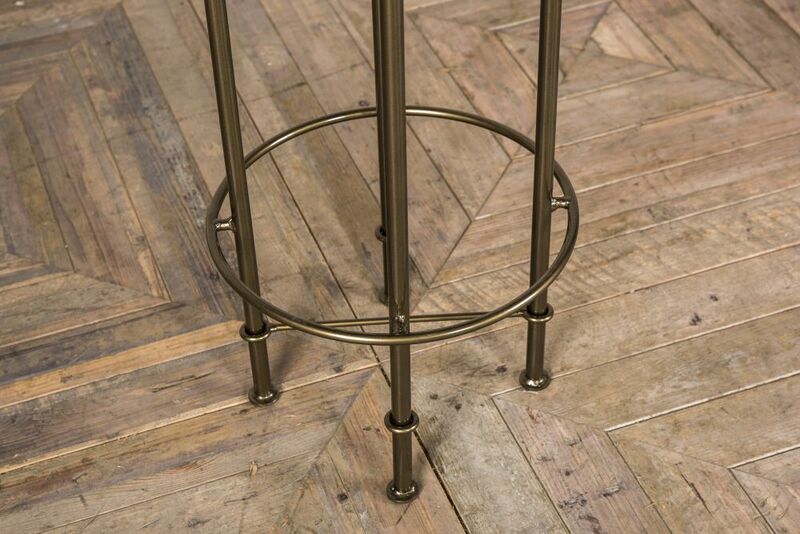 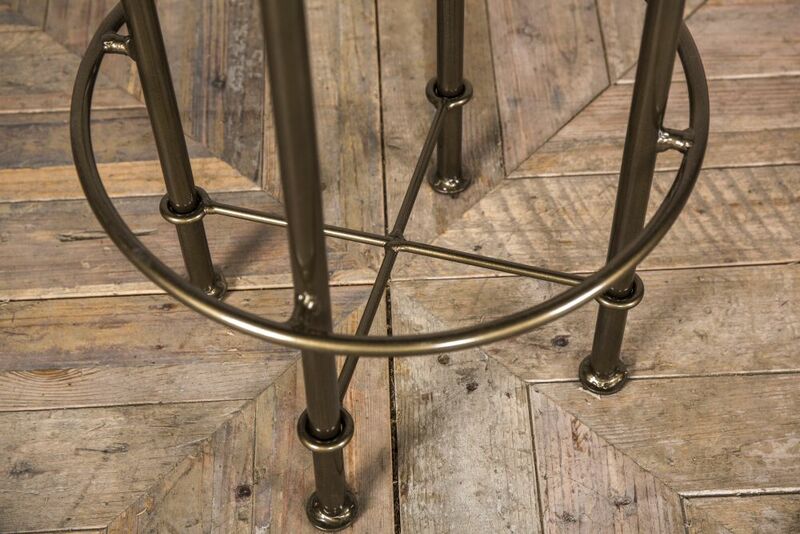 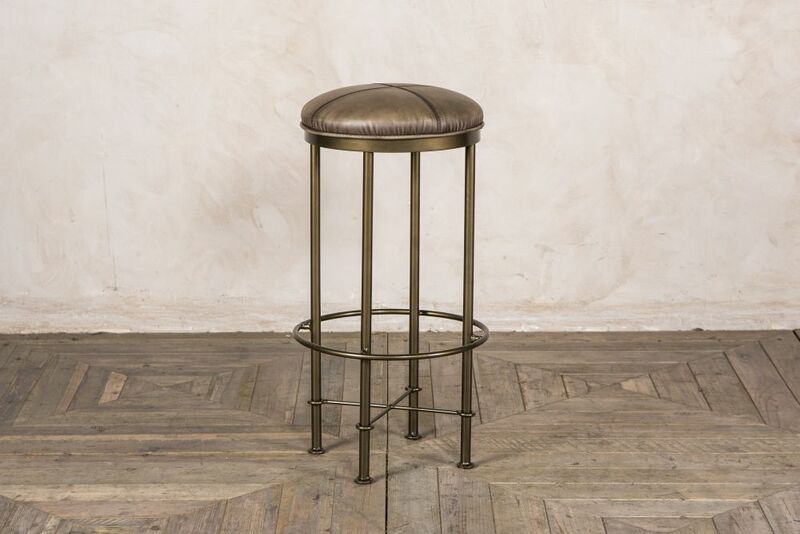 The metal base has an aged brass finish, making them ideal for both contemporary and vintage inspired spaces. 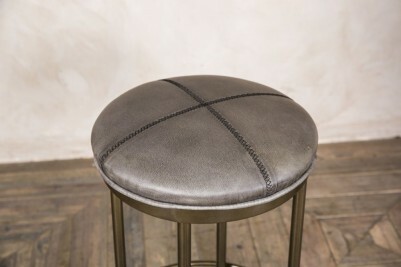 The seat pad and circular footrest make these very comfortable stools. 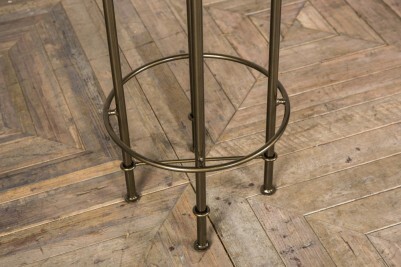 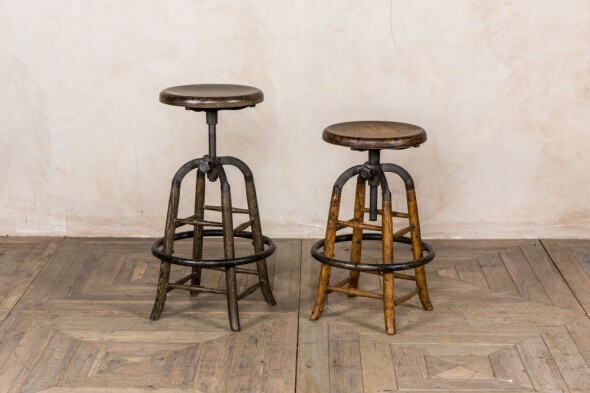 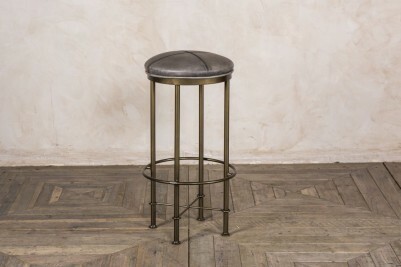 Add this stool to a bar area, or to poseur tables in a restaurant. 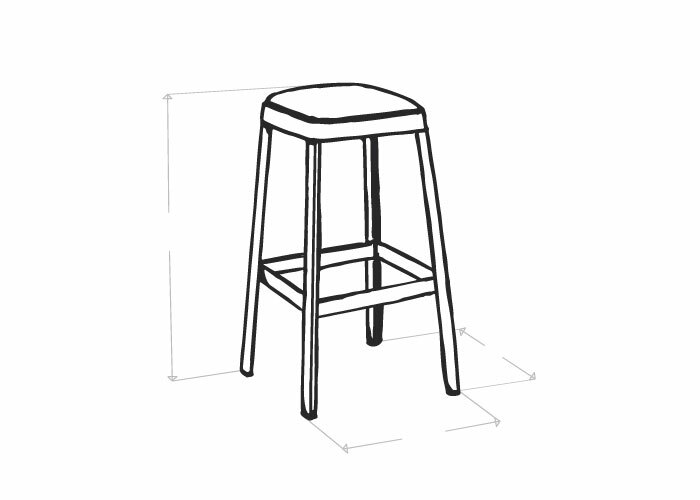 The stools could also be used at a tall table in a domestic kitchen, but please note that they will be too tall for most standard breakfast bars. 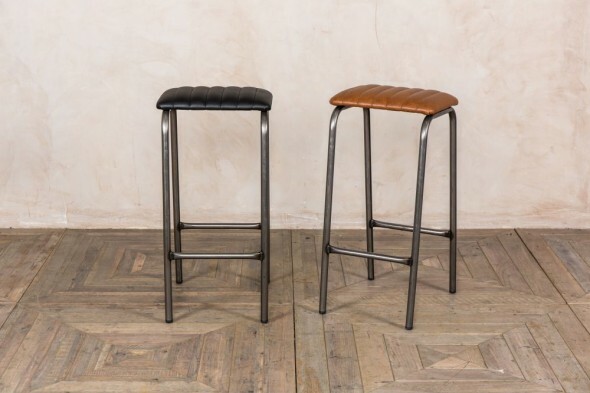 Please note that the price is for one stool only.